Child's Gift Sack, Christmas Eve | Great Little Trading Co.
Father Christmas will be glad of this gift sack come Christmas Eve - it's really roomy and the drawstring closure makes it easy to fill. It looks fabulous too, with its pretty design and smart grey cuff. 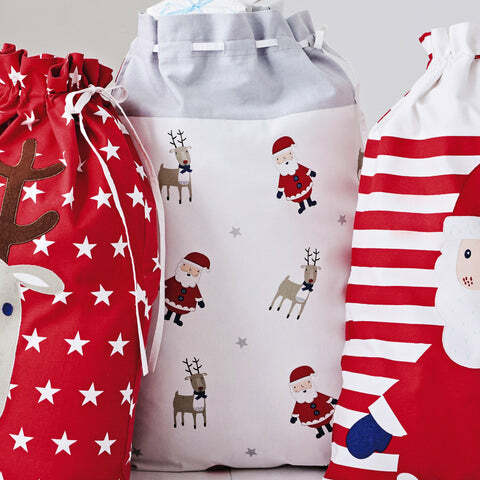 This Christmas gift sack is two alternative designs; choose from: Jolly Reindeer or Father Christmas. These designs are also available as Christmas Stockings.